Agilent Technologies Blog What Are Dioxins? And What Are They Doing in My Food? Home > About Agilent > Newsroom > Blog > Food > What Are Dioxins? And What Are They Doing in My Food? What Are Dioxins? And What Are They Doing in My Food? Today is World Food Day. It’s a good time for me to talk about dioxins in your food. 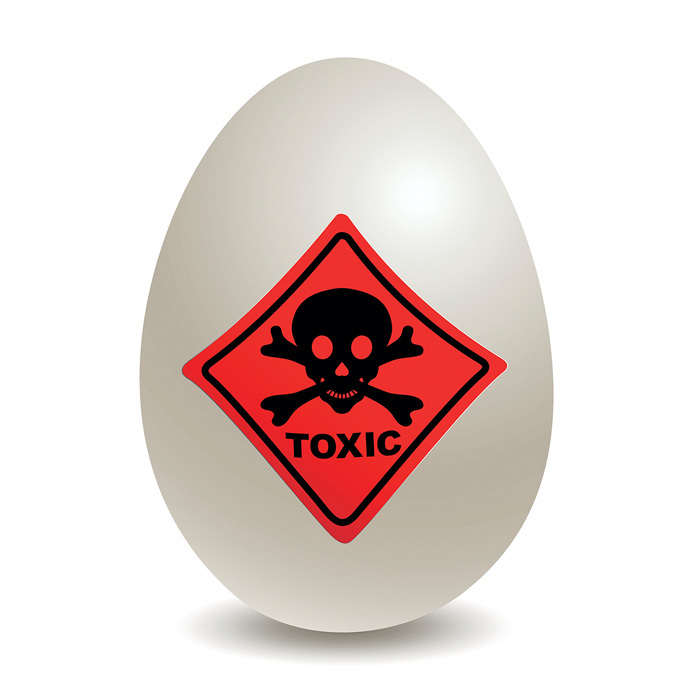 Dioxins (2,3,7,8- tetrachlorodibenzo para dioxins) are highly toxic chemical compounds. They are a byproduct of natural and industrial processes, including incineration, forest fires and volcanoes. PCBs (polychlorinated biphenyls), which were banned in the U.S. in 1979, are a type of dioxin. Dioxins are classified as persistent organic pollutants (POPs) because they accumulate in the environment. They also accumulate in the food chain, mainly in the fatty tissue of animals. Almost every living creature has been exposed to dioxins. In fact, the higher you are in the food chain, the more dioxins you have accumulated. More than 80 percent of human exposure is from food, mainly meat, dairy products, fish and shellfish. Because they are absorbed by your fat tissue and break down very slowly, dioxins will stay in your body for years. They can cause reproductive and developmental problems, damage your immune system, interfere with your hormones and cause cancer. Needless to say, you want to reduce your exposure to these highly toxic compounds. Agilent has collaborated with the European Union to develop dioxin testing methods for meat, dairy and fish. Our triple quadrupole GC/MS/MS technology has been approved as a confirmatory method to determine the presence of PCDDs, PCDFs and DL-PCBs in food and feed. Agilent has published an infographic, “Dioxins in Our Food Supply and Their Effect on Human Health,” that you can view here. Agilent instruments, systems and supplies are used throughout the food production chain to ensure consistent quality and uncompromising safety in your food, produce and beverages. Is That Acrylamide in Your Coffee?